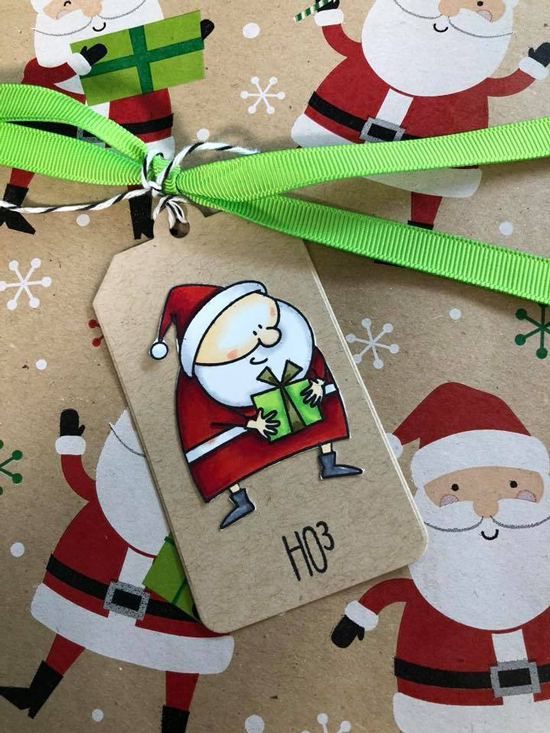 We adore Donna's festive holiday tag featuring the Santa image from the Jingle All the Way stamp set. 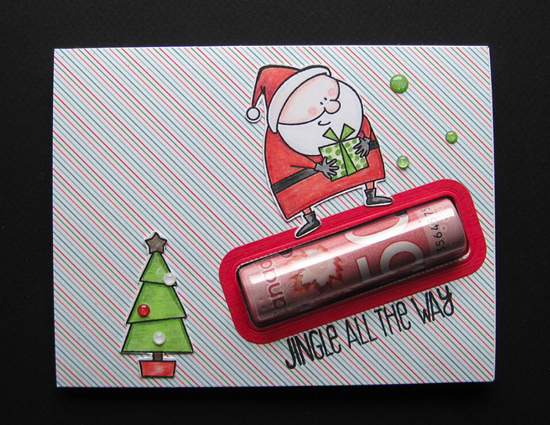 Her gorgeous coloring provides so much depth and dimension and makes her Santa come to life on her Christmas package. 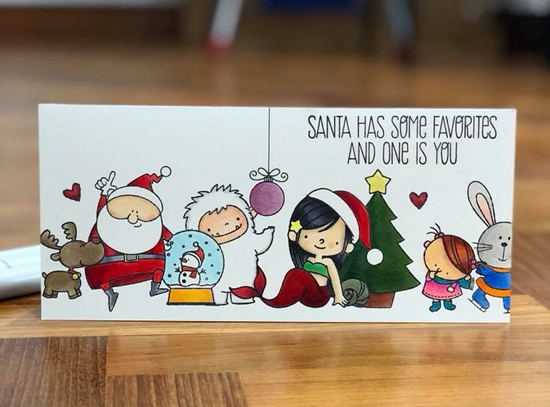 Lam featured a whole party of characters on her holiday card! From Santa to a holiday mermaid, we're loving the great combination of stamp sets used on her design. Would you believe these gorgeous holiday tags are made out of CD's? 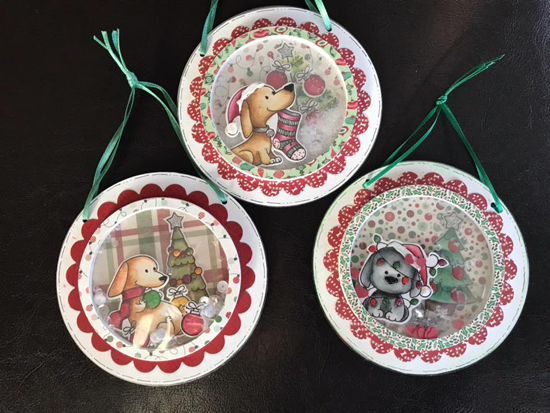 Kathy covered old CD's with patterned paper and then she created shaker tags with the adorable puppies from the Happy Pawlidays stamp set tucked inside. So innovative and fun! Extending an image through multiple windows on a card is a great way to unify a design and give it a unique look. 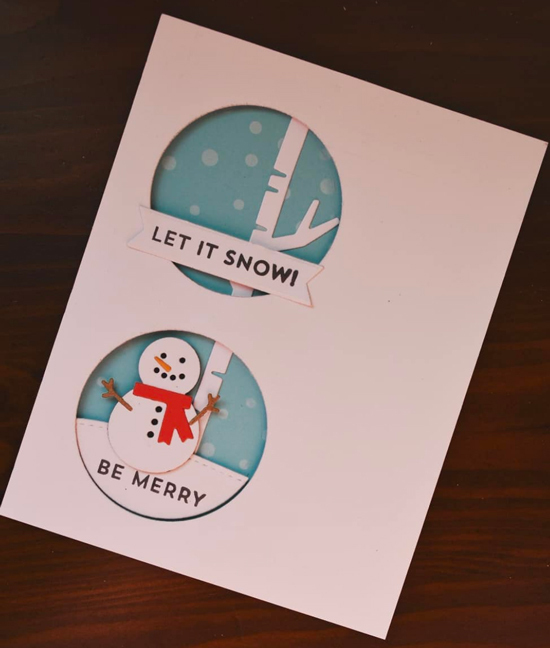 Wei added a birch tree to her card that appears in both of the circle elements and completes her winter scene. Wow!Thank you for spotting my card! I'm so excited!